York City based writer who worked with the Brooklyn Zine Festival that is coming up on April 25th and 26th. When Jordan proposed a Black Lives Matter panel to be present at the Festival they refused. They alluded to the topic of police brutality and oppression as being too political of a topic at such a fun-loving event. It is no surprise to me that a group whose sole purpose is to give the people a voice would discriminate against the black race. I completely felt Jordan’s outrage over the situation. From her trying to explain how having this group at the panel will not promote apprehension, to her being chastised in work related emails, to her finally sending in her resignation. This woman is a true activist in my eyes, because she stood up and put her foot down. Sometimes you gotta get in these peoples’ faces! I respect her decision to leave the job because if she stayed she might have been forced to further sugar coat her views and philosophies. Since Jordan’s resignation, the Zine Fest has decided to add the Black Lives Matter group to the panel. A representative will be answering questions about their prospects for the community and its relation to education. Anyone who has the free time this Sat and Sun should definitely check out all the creative talent in Downtown Brooklyn at the Zine Fest. I leave you with that information and the link to Jordan’s website so you can read her first hand experience of the face of Prejudice. If you find yourself living in a shoe box of an apartment in the city, chances are you may have experienced maintenance issues in your building. Usually a result of the supers’ lack of care. But sometimes, without provocation an emergency can change a person’s living situation forever. Sadly, enough the story doesn’t end there. If a person experiences a fire, flood or other natural disaster and are rendered homeless a donation based program known as the Red Cross comes in to pick up the shattered pieces. They are limited in what they can do but offer many resources for those who have lost everything. Registration upon arrival allows a survivor to receive medical treatment, housing for a few days, and a small stipend which is placed on a prepaid debit card. 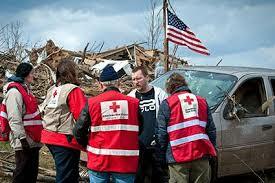 The Red Cross is volunteer based and works completely off of the graciousness of others. From the outreach team that are dispatched as soon as they are alerted about the disaster to the advisor who helps contact legal offices on behalf of the survivors are all volunteer participants. Even the money used in order to operate this program is donated and granted. The Red Cross is a not for profit organization that has several locations, including one in Brooklyn at 4th Avenue in Park Slope. I make plans to go out with my friends. Maybe even go out to the beach. You know, be a normal person. The suns rays give me the energy and food that I need to endure. And I love that! But on cloudy days I recede to a place in the back of my mind. A place where I can find the purpose for my life. Focus on my liberties and find the pursuit of my own happiness. 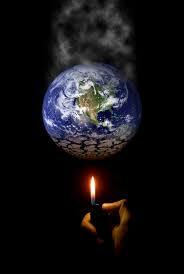 We are not exempt from extinction!